It’s interesting to compare and contrast Bedrock Vineyard with Pagani Ranch. Both are located on the floor of Sonoma Valley and both were planted in late 1800s. Location-wise, the vineyards are only about a five-minute drive apart. Yet Bedrock is one of our first lots to be picked each year (September 7th and 11th in 2013) while Pagani is usually one of our last (picked October 12th and 15th in 2013). Typically, both wines are well-endowed in the tannin department yet they are strikingly different in aroma and flavor. For an uber wine-geek like me, I find this kind of stuff fascinating. 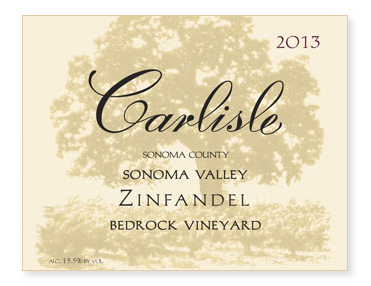 If possible, enjoy them side by side for a great lesson in microclimates and terroir.